So what all things we have now? A A Raspberry Pi, A MATRIX Voice, Alexa configured to work with MATRIX Voice and IFTTT. What to do next? How about some home automation? In this post, I will show you how to set up a Matrix Alexa Home Automation system, that can turn on and off lights, fans or any electrical device in your home. Lets get started. 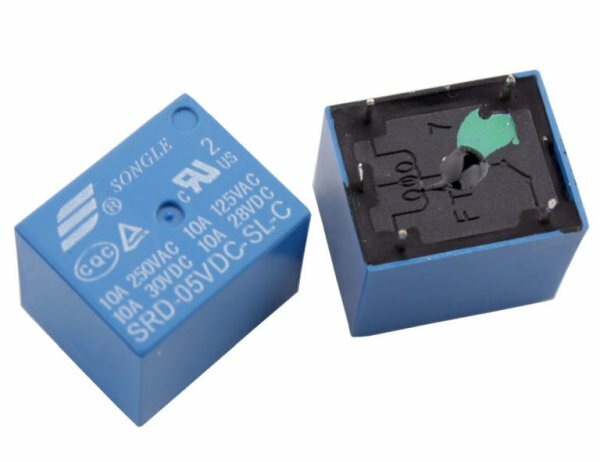 Since the Output of Raspberry Pi GPIO pins are 3.3V, you will have to buy a 3.3V Relay. 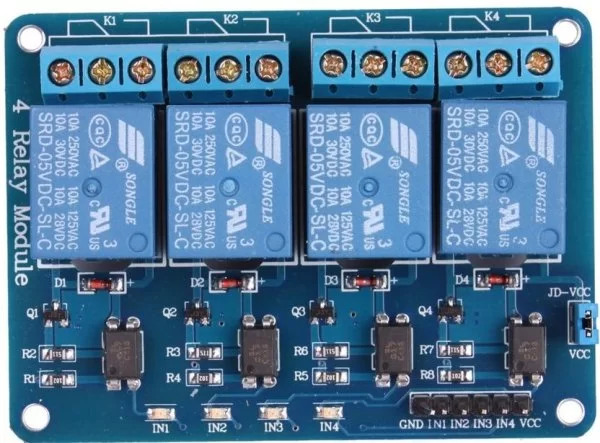 You can purchase the relay board of 4 relays that is compatible with Raspberry Pi . Below link will redirect you to an easy to understand simple tutorial which will help you to set up Alexa on your Raspberry Pi using MATRIX Voice. Now, you should be able to tell the Wakeword “Alexa” and communicate with it. You can proceed to next step. Next thing you have to do is set up ngrok. ngrok is an awesome service that enable us to connect to any device (inside LAN or internet facing) through any network with out port forwarding. 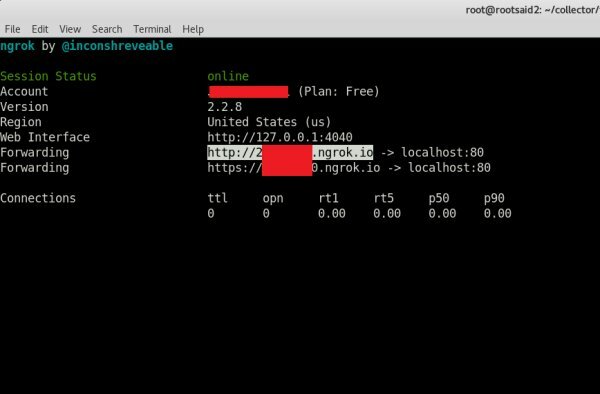 The below tutorial explain everything you need to know about ngrok and set up one yourself. Repeat Step 1, 2, 3 and 4 of the above tutorial. Now you will have a ngrok URL which can be accessed from anywhere around the world. IFTTT or If This Then That is simply a platform, that interlinks various devices, apps and services that allows us to do what we want to do. It helps us to automate and arrange various tasks and services in an efficient and a user friendly manner. 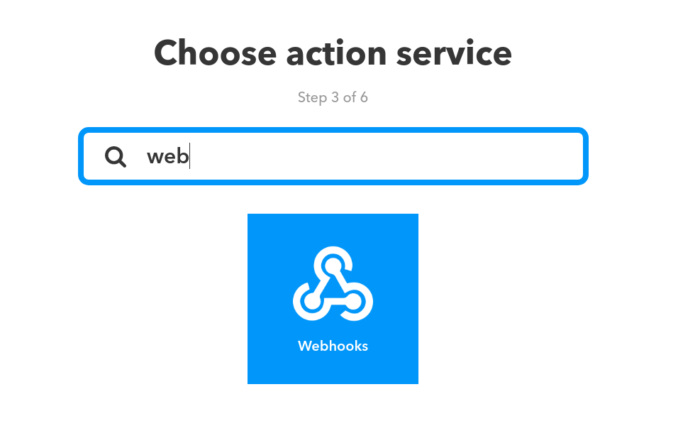 The below tutorial explain everything you need to know about IFTTT and set up one yourself. IFTTT communicates with Amazon Alexa by linking it with the developer account. 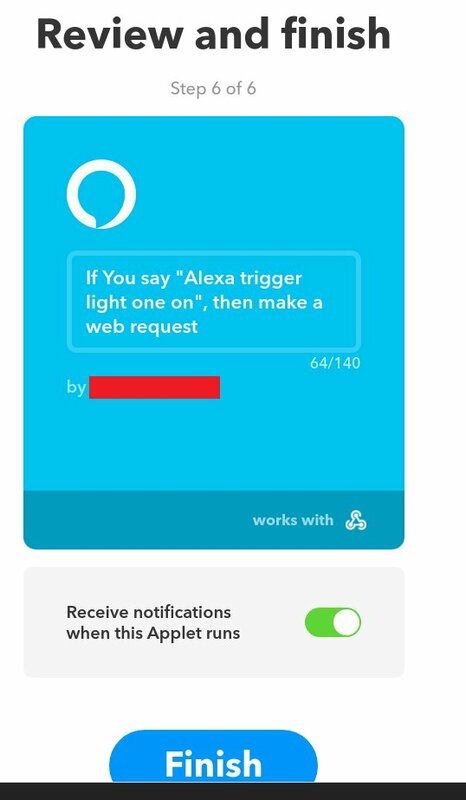 When we say a specific phrase to Alexa, it will be sent to IFTTT an action will be trigggered. 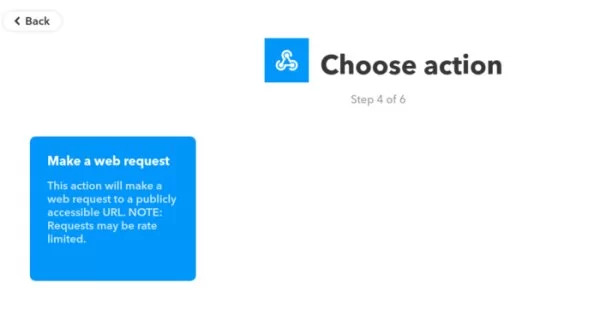 Follow this step and create an account in IFTTT. 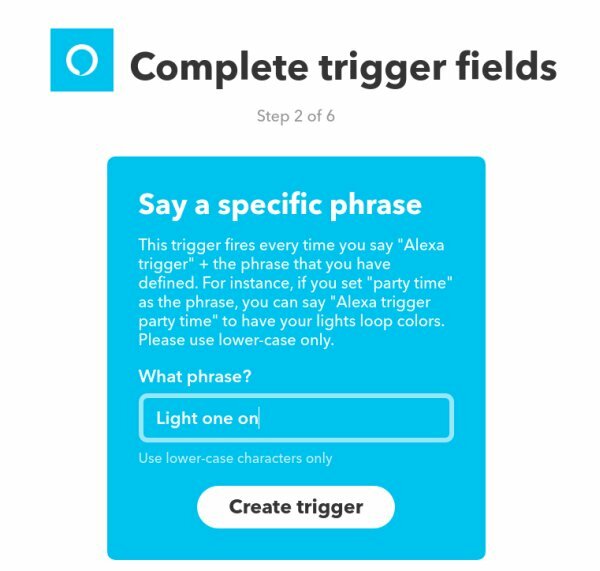 Create an applet with Trigger ‘Alexa’ as shown in the above tutorial. Click on ‘Say a specific phrase’ and enter “Light one on”. This Trigger fires every time you say “Alexa trigger lights one on”. Now click on Create. Click on ‘Create Action’ and then click Finish. For now, our work here is done. Matrix Alexa Home Automation code is available on github. You can download using the below link. 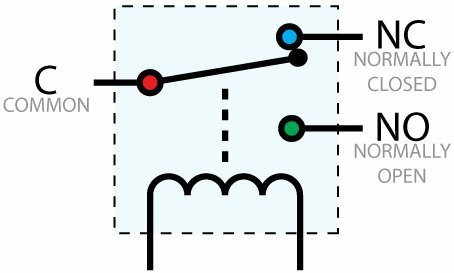 Shown below is the pinout diagram of MATRIX Voice to connect the relays in your Matrix Alexa Home Automation. 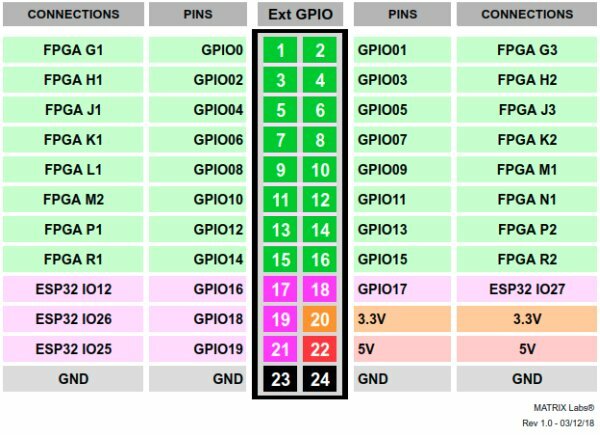 Use any of these GPIO pins and connect it to relay. That relay should be connected to light. Once all the connections are complete, run the python code you downloaded from github. Now your Matrix Alexa Home Automation is all set up and ready for action. You have Alexa running in your Pi with MATRIX Voice, ngrok running, and a flask server up and running. Now try saying. 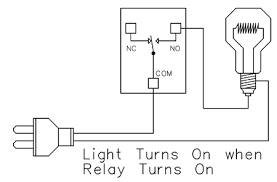 This should turn on your light that is connected to the relay. This should turn OFF the light. 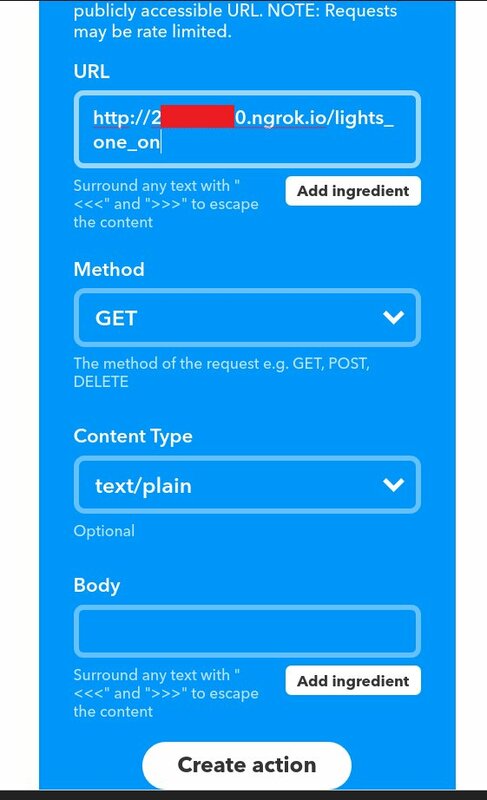 Now you can add more devices i your Matrix Alexa Home Automation by adding some more applets in IFTTT and a little bit of tinkering in the code.